This post was written by Ben Benson, a participant from Camp Tawonga on a 4-week service-learning trip with Yahel-Israel Service Learning. After volunteering alongside teens in an Ethiopian-Israeli community in Yavne, the group members are now learning about social change initiatives throughout the country as they tour Israel in the final weeks of their trip. 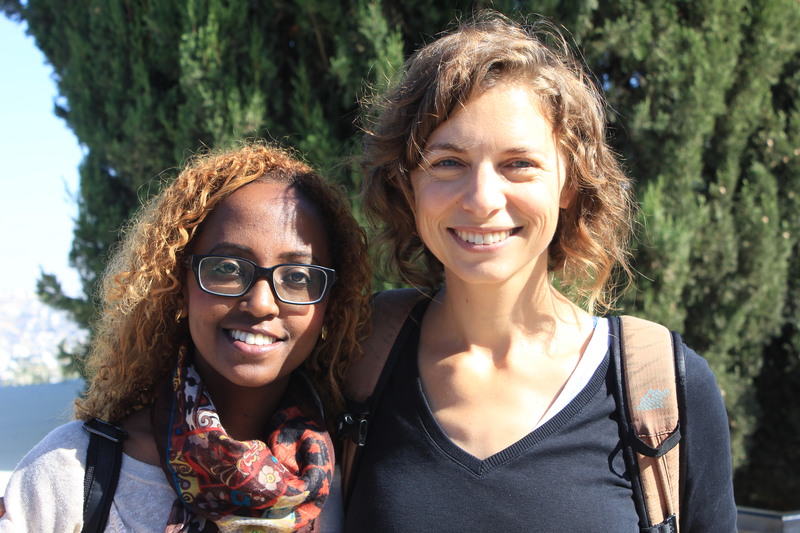 Two days ago, (as of my writing) we arrived at Merkaz Hatarbut (one of the community centers we worked at) to meet our Ethiopian-Israeli home stay families. My partner Brian and I were immediately whisked off to a family’s home by the patriarch, A. When we arrived at the home, which we had previously visited with the whole group for a traditional Ethiopian coffee ceremony, we were introduced to what we would soon realize was only a small portion of the family. Sprawled on the couch were ten year old B., recent Bar Mitzvah, O., and 17-year-old giant E. At the table was their very pregnant 19-year-old sister T., who’s 21 year old husband, Y. arrived home from the army a few minutes after Brian and I arrived. We were greeted by A’s wife I., who we had met several days before before when she led the coffee ceremony. She insisted that we sit down, and her sons told us we were going to watch their favorite film ever, an American movie we had never heard of called Air Force One, starring Harrison Ford. It was a campy movie, despite the fact that it was packed with A list movie stars, but we enjoyed it. After the movie ended, we were told that all machines in the house had to be turned off (with the exception of the AC) in preparation for the shabbos. O, the pais-sporting middle brother who was the only English speaker (and just barely at that) in the house, asked if we wanted to play football (soccer). We said yes, and Brian and I accompanied the three brothers to a combination basketball court/soccer field, where we met their friend. Their friend had been part of the Israeli delegation to Camp Tawonga in 2012 and spoke fluent English, so we chatted with him about our mutual friends, excited to find an oasis of familiarity in such an unfamiliar culture. When we returned to the home, we dressed for Bet Knesset (synagogue) and left. We were some of the first to arrive, as A. had a special leadership role in the services. When we arrived at synagogue, the only other person there was an Ethiopian-Israeli religious man who was already chanting prayers in a trance-like state. Soon the room was full of men, boys, and small girls too young to be apart from their fathers. For the next hour or more, we sat staring at prayer books and listening to chants that we couldn’t understand. Although we couldn’t comprehend what was being said, we were astounded by the beauty of the prayers, which while having the same words as those we recite in America, had a distinctly Ethiopian rhythm. After the services ended, we wished all a good shabbos and headed home for the traditional sabbath feast. I have never seen so much food for so few people in my life! It was amazing. Potatoes, jalapeños, schnitzel, dabo, injera, chicken, fish, and a million other dishes I had never seen before, all slathered in delicious Ethiopian spices. As a lover of spicy food, I was in paradise. This seemed to come as a happy surprise to the family, who I gathered had been expecting me to stick with the more western dishes. After dinner, we sang songs, and I was surprised to see that much like camp, this religious family banged on the table and used funny hand symbols to supplement their evening prayers. They were equally surprised and delighted when we showed them the Camp Tawonga version of the Birkat Hamazon. For the rest of the stay, they jokingly imitated our ridiculous hand signs and we responded by imitating theirs. By the time of the home stays, I had been sick for several days, and after dinner I passed out in the small bedroom the younger two boys had evacuated for Brian and me. I awoke nearly twelve hours later to the sound of the large parrot in a tiny cage next to my bed (which I had failed to notice the previous night) screaming bloody murder in my ear. I looked around at the young boy’s room, which I found was long and narrow, with two small, hard beds, the birdcage, a tuba, and a large pile of Nike shoeboxes in the corner. The night before, the religious son, O., had told us he would wake us at 7 so we could arrive at services by 7:30. When I checked the clock, I found it was 9:40. O. was waiting for us in the main room, where we wolfed down small bowls of corn flakes and headed off to services. Confused, we asked him if he already had gone to services and then come back to get us. He did not answer, just grinned back at us. When we arrived at Merkaz Hatarbut, we were led to the upstairs sanctuary, which we had never seen before. It was a circular room, with a small circular stage and podium in the center and an ark at one end. The walls were made of clay and adorned with framed religious sayings in Hebrew and Amharic. We were late, but nobody seemed to mind as they were all deep in prayer. The room was full of men and boys of all ages, all of whom seemed to have a part in the service, often going up to the stage or walking around saying prayers before returning to their seats. Near the center of the room stood our host father, who occasionally would chant a prayer or make a statement, but for the most part seemed to simply preside over the sanctuary. When the service ended, O. led us outside, where we shook hands with community members and wished them good shabbos. One man approached O. and asked him in English how he was late despite the nice watch his father had given him. He pointed at us and the man nodded understandingly. When the man was out of earshot, O. grinned and thanked us for sleeping in. We returned to the house to spend the rest of the day resting and socializing with the extended family in observation of the shabbis. After a lunch that was somehow even more massive than the previous night’s feast, Brian went to take a nap while I played Israeli monopoly with some cousins. The game was quick, because as one of the the older, English speaking cousins put it, the four year olds always cheat. I spent the rest of the afternoon talking to one of the cousins, an atheist, politically idealistic 19 year old who had just dropped out of the military university and was about to enter the army. He explained to me how he and his friends had become fluent in English and Spanish after years of speaking to each other with words learned from American hip-hop and Latin American soap operas. He told me that due to the lack of support for Ethiopian Israelis in Israel, most young people in the community look to African Americans, mainly Tupac Shakur and Dave Chapelle, to be their role models. He also told me that due to racism in Israel, it is very difficult for Ethiopian Israelis to find homes in non-Ethiopian neighborhoods, and very few can find non-blue collar jobs, even if they posses trade skills. It was really shocking for me to spend a day seeing how similar Ethiopian-Israeli culture is to both American and mainstream Israeli culture, and then to see how much they are ostracized by the very people who once worked so hard to bring them to Israel. After spending 24-hours immersed in such a unique, inviting society, I am disgusted by the prejudice with which Ethiopian-Israelis are treated by the Israeli society. However, there is a light at the end of the tunnel. 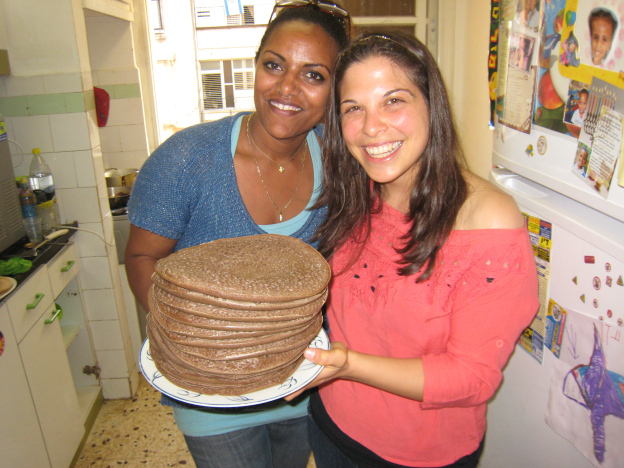 Ethiopian-Israelis lifestyles have been slowly improving in the last decade. 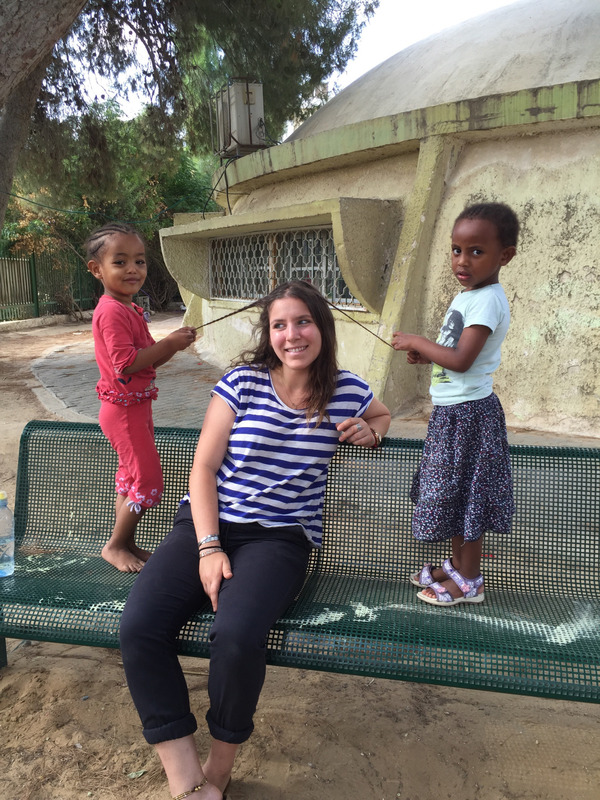 There is hope that future generations of Ethiopian-Israelis will finally find their place in Israeli society and break the cycle of poverty. There is a challenge to this hope. Some of the young Ethiopian-Israelis I spoke to are dissatisfied with their situation in Israel and intend to move elsewhere once their military service is complete. 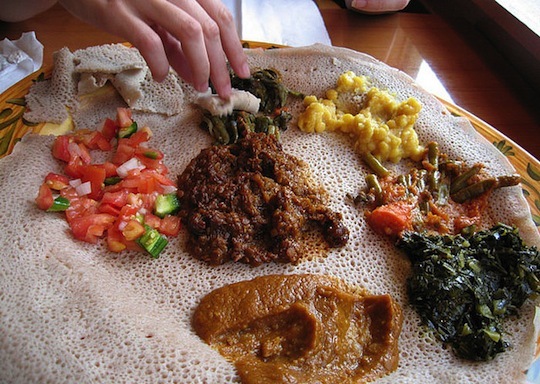 In order for Israel to preserve this vibrant and unique culture, the society must be more accepting of those of Ethiopian descent. If no change is made, Israel may well find itself facing the pointless loss of a generation of bright, talented individuals to other nations. 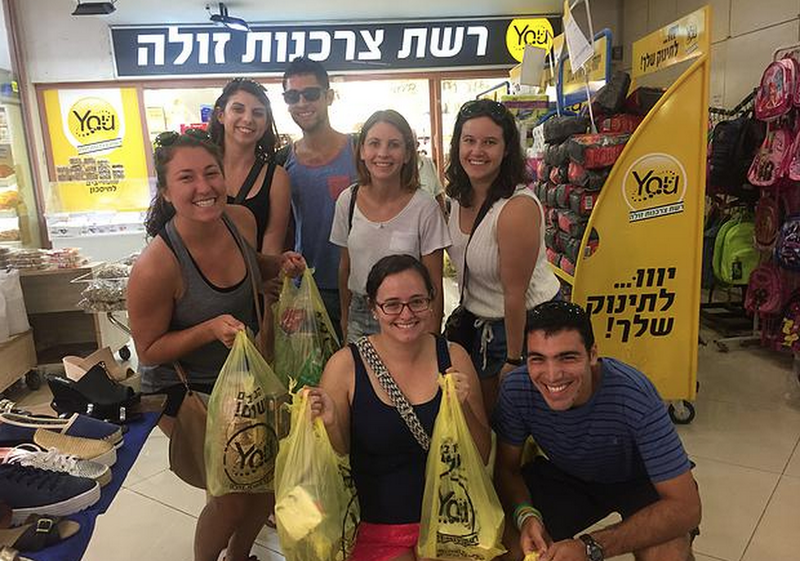 Interested in a Yahel Service-Learning Program? Let us know! Thanks so much Anita! 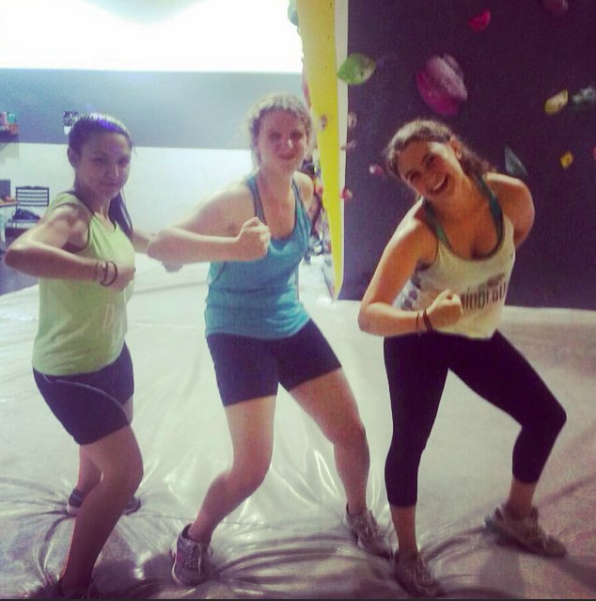 We are so impressed with our participants this summer! I hope you will continue to follow our blog and read about what they are up to. It was interesting reading Ben Benson’s reflections on his in depth visit to an Ethiopian community in Israel. I’m so sorry he didn’t have an opportunity to meet with the Ethiopian/ Israeli students living in our communities who are serious students, love Israel , and integrate beautifully with their Morrocan, Persian, Russian /American Israeli counterparts. Unfortunately, there are native born Israeli youth who are also waiting to finish their army service and then seek their fortune in other countries, that feeling is not limited to the Ethiopian community. However, Thank G-d , there are even more Israelis who see Israel as their cherished home and will do everything they can to help to make it strong, and viable, so that more and more Jews worldwide will come on Aliyah. This is our HOME. It was was very good that the campers on their first trip to Israel were able to visit and learn and about the culture and participate in that community, see way of life of the Ethiopean Jewish community in Israel. It would have been also good for the campers to have met Ethiopean immigrants who have been successfully absorbed in Israel, who are members of the Knesset, officers in the army, teachers, youth leaders, models, beauty Queens’ and successful as a result of the help given by the Israeli government and Ministry of Absorbtion, with subsidies,, training programs, educational grants, job placements, etc. . The absorbtion of the Ethiopean community may be difficult because of the cultural background, but as with all the immigrant groups, it has been extremely successful. I think that when young Jewish children, campers, make their first visit to Israel, the emphasis tour planners should emphasis meeting the natives and immiigrants , mostt, I believe, with success stories and good experiences who are optimistic and happy with their lives and have contributed to Israel’s success, . Thank you for the opportunity to comment.